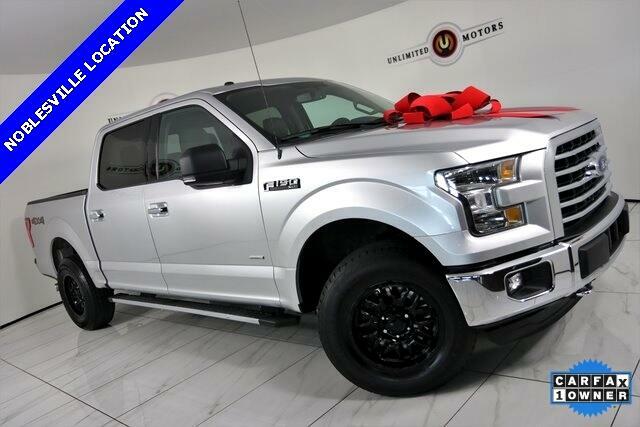 Bluetooth, Running Boards, Towing, Bed Liner, F-150 XLT, 4D SuperCrew, 2.7L V6 EcoBoost, 6-Speed Automatic Electronic, 4WD, ABS brakes, Alloy wheels, Compass, Electronic Stability Control, Illuminated entry, Low tire pressure warning, Remote keyless entry, Traction control. CARFAX One-Owner. Odometer is 11389 miles below market average! Priced below KBB Fair Purchase Price!